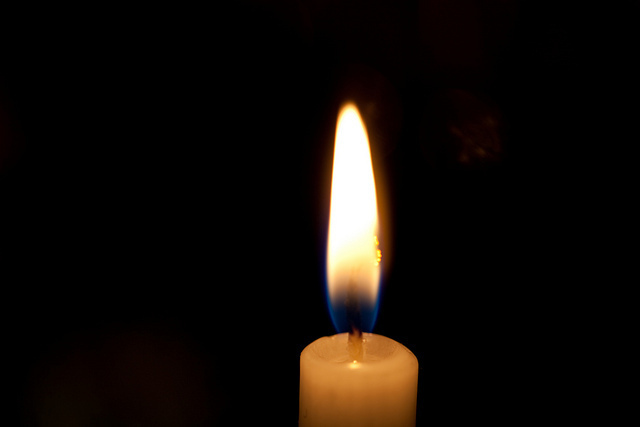 How would you build a digital candle someone could actually blow out? My 11-year-old daughter and I tried to answer that one evening, just for the fun of it. We looked online to see if there were ways to detect breezes without a set of spinning cups. We quickly learned about hot-wire wind detectors, which monitor a warm wire and detect tiny changes of voltage as air passes over it. Even better, we found a $17 device that does exactly that and has Ardiuno code to go with it. Score! So for this week’s #MakeEveryWeek, I gave the blow-out candle a try. 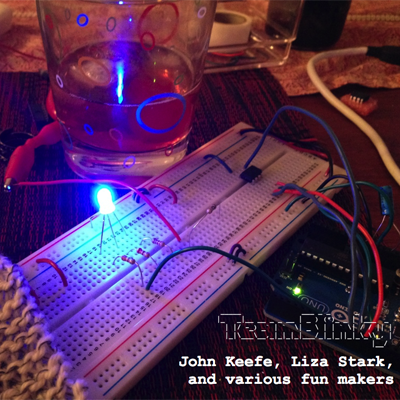 The short story: This week I made a blinky-buzzy toy to occupy our cat with a random sequence of teases. And he loved it! So for #MakeEveryWeek No. 3, I learned how to play with this minuscule computer. 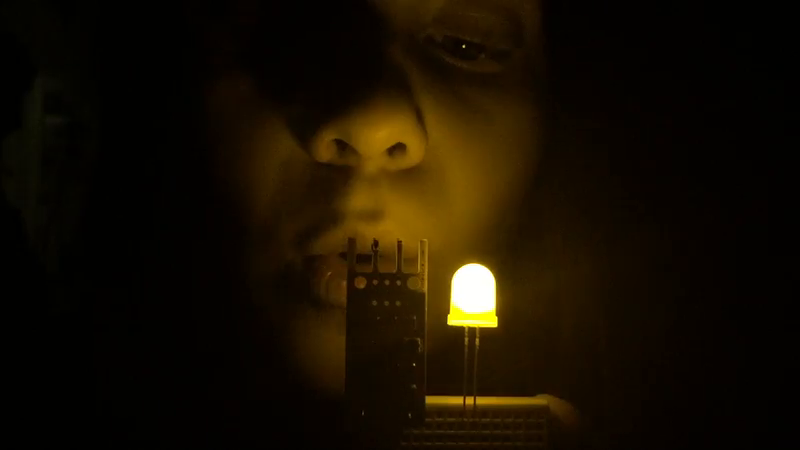 The little chip was an ATtiny (pronounced like an author, A. T. Tiny), which is essentially a super-simple Arduino. Its legs correspond to a some of the familiar Arduino pins: power, ground and five input-output points. More details are on the Sparkfun site. 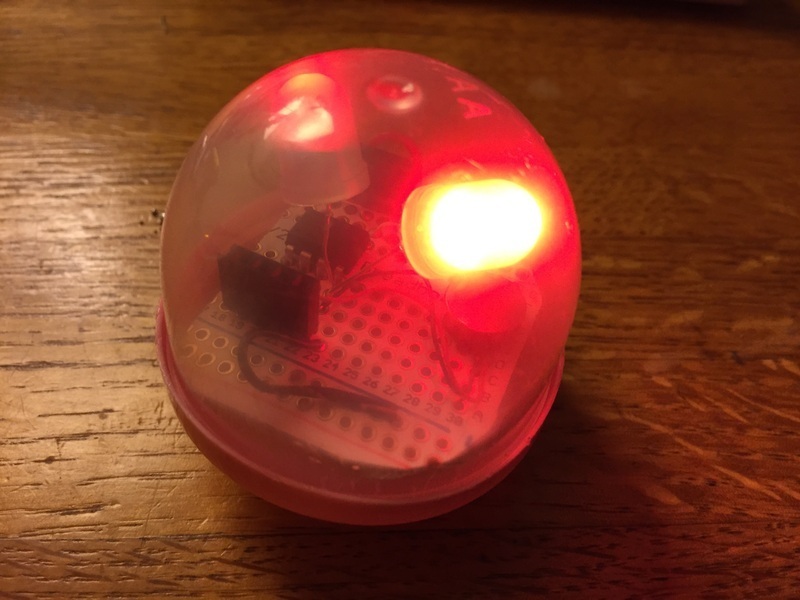 Just like an Ardunio, you can code it to light LEDs, read simple sensors and buzz buzzers. You program it using Arduino desktop software and the Arduino language. 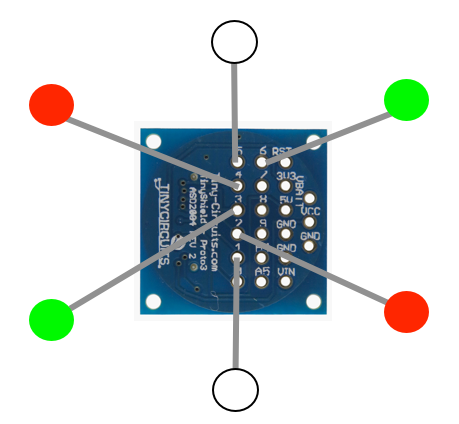 You even use an Arduino as a kind of “mother ship” to load programs into the ATtiny — because it's missing all of the connectors Arduino boards have. 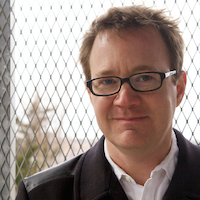 Welcome robots! I'm leading my daughters and a friend through some summer fun building simple robots. This is live prototyping at its finest (by all of us). I'm tweaking the hardware and software by night, and running "camp" at the kitchen table by day. The main learning concept I'm aiming for: "If A is detected then B happens," like IFTTT does so well. It seems to be a good, base robot function. Also: Making robots is fun. My hope is that the kids get to express hands-on creativity, and that I can get Arduino to help me bring their creations alive. As Liza Stark advised me, make sure they have their hands on the project more than I do. Let's see if that happens. I'll keep posting here as we work through the week. The fun begins today! We're always interested in how many folks are viewing our WNYC Data News projects at a given moment, and Chartbeat answers that question. But we don't always want to watch Chartbeat's dashboard for the latest info. 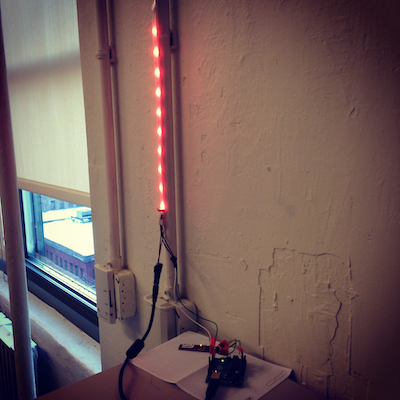 Using a string of colored LEDs, an Arduino and a little bit of code, we now have an ambient indicator that generally reflects our traffic and alerts us when thing get intense. A program running on my desktop computer checks Chartbeat for the latest number of simultaneous and passes that information across the room using Bluetooth, something I've wanted to play with for a while. When Kristin is about to get her period, everyone in the house knows it. A light on her nightstand tells us so. 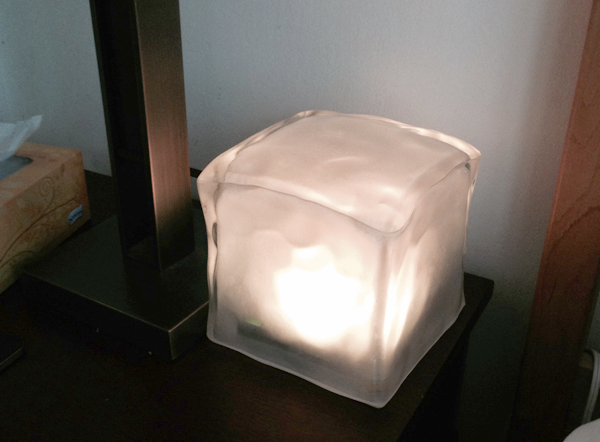 What we now call the "Mood Cube" tracks my wife's cycles and has helped foster household harmony. It also makes Kristin smile every day. It was easy to build. You can make one, too. The Mood Cube story really starts with Louise Ma, a great interaction designer and my colleague on the WNYC Data News Team. 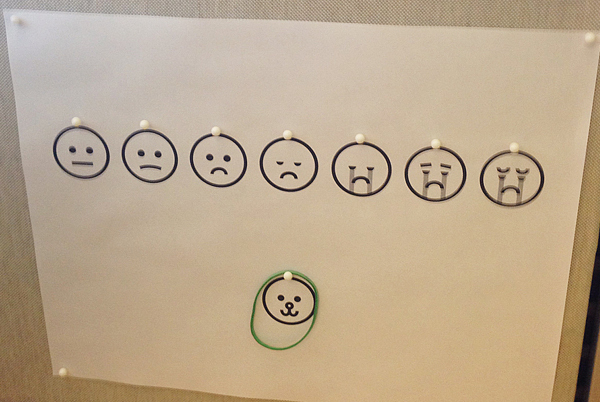 She knows her mood tracks closely with her menstrual cycle, so she put up a chart of different faces and hangs a rubber band on the face that matches her feelings. Stop by Louise's desk for a chat, and you immediately know where she's at. Talk about transparency! Louise has made a hobby out of tracking her moods and cycles. Kristin had tried to track hers, too. She used several of the flowery iPhone apps designed to help, but didn't stick to them. She put the dates in Google calendar, but they never really lined up. And each month she was surprised by bouts of intense stress, frustration and agita -- always followed by her period just a day or two later. After a recent episode she texted me: "I want Louise's chart!" 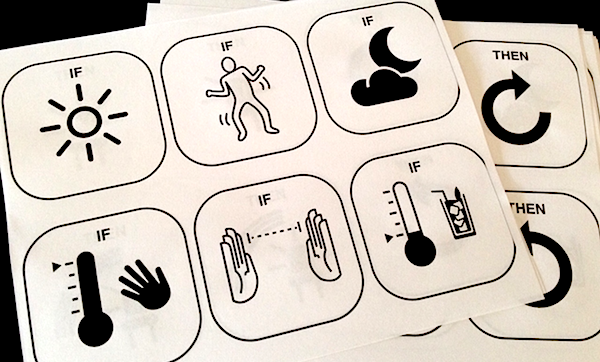 I wanted to make an ambient indicator -- something in Kristin's life that was subtle but clear. I wanted it to be peaceful, friendly and needinig no attention. And it shouldn't be harsh or shaming. 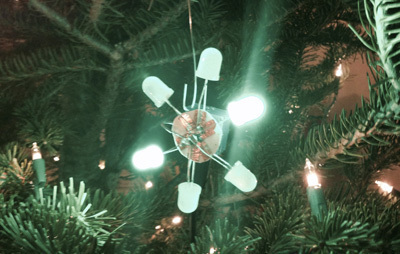 Challenge to myself: Build an ornament for the Christmas tree in the few hours before Christmas Eve dinner. I grabbed an Arduino the size of a coin I've been playing with called a "TinyDuino," from Tiny-Circuits, along with a little stash of LEDs I got from from Evil Mad Scientist.